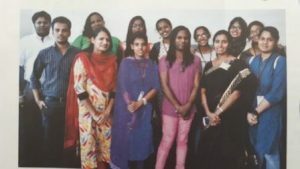 Six students ( Sheethal, Krishnaja, Lakshmi, Aleesha, Sona and Catherine) along with Georgia Ann Benny, faculty member of the Department .Members of the Transgender community- Sreekutty, Faizal, Tripti and Ayush participated in the discussion on “ Life of Transgenders” in association with Chavara Cultural Center and Moolyashruthy Magazine. 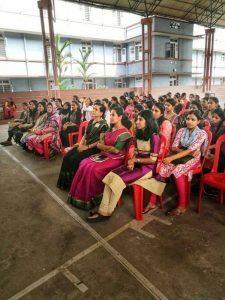 The discussion threw light on the various issues faced by the transgender community and pointed out the need for spreading awareness about the plight of the transgender community. 7 students of I BA and II BA Sociology successfully completed one month Internship from 1st May 2018 to 31st May 2018, with the Sahrudaya – Welfare Services,Ernakulam. The internship included active participation in Survey, Data entry, Case Studies, Group Work Sessions, Community Organization and SHG formation of Community Based Rehabilitation Programmes of the differently abled(CBR), interactions with old people, Medical Camps, Data Consolidation, Filling and Documentation and other office and field programmes. During the intership , the students also participated in cleaning of the KSRTC Bus Stand and Sahrudaya premises and involved in the mobilization of people for Environmental Day. Newcomers were welcomed to the Department by the Senior students. The day witnessed various entertaining programs and games which made it a memorable one. 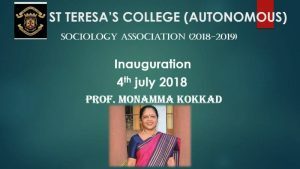 On 4th July 2018 the Sociology Association was inaugurated by Professor MonammaKokkad, Director of Minority development, Finance Corporation and previous member, Kerala Women’sCommission.She gave an inspiring speech on Women Empowerment by sharing her experiences while she was a member of the women’s commission. 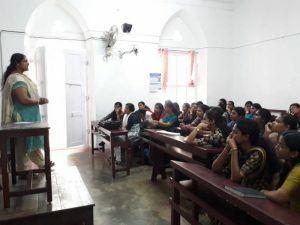 The students also had an effective communication with her on Women Empowerment and Gender Issues. The executive members of the Department took charge officially. The participants were the Post Graduate students of the department. 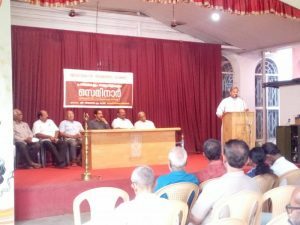 The Association organized a discussion and presentation on the “Protection of the Western Ghats” at St. Teresa’s College, Ernakulam. 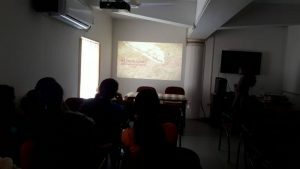 The final Year Post Graduate students presented and discussed about the Madav Gadgil and Kasturirangan Report in terms of protecting the Western Ghats. 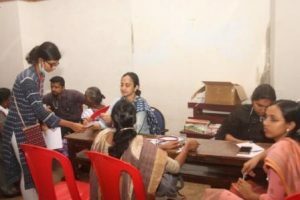 The gates of St Teresa’s College was opened to the flood victims .Faculty members, students and association members from the Department of Sociology gave an active participation and support for the survivors at the camp. The department also provided relief kits and financial support to the people. 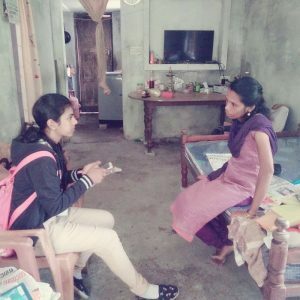 As part of flood disaster management, students from 1st B.A Sociology did a Disaster impact Survey with the help of Panchayath officials in Cheranalloor Panchayath. The outcome of the survey is proposed to be used to plan programmes for Gender Sensitive Disaster Management and also to provide relief measures for the flood affected people. 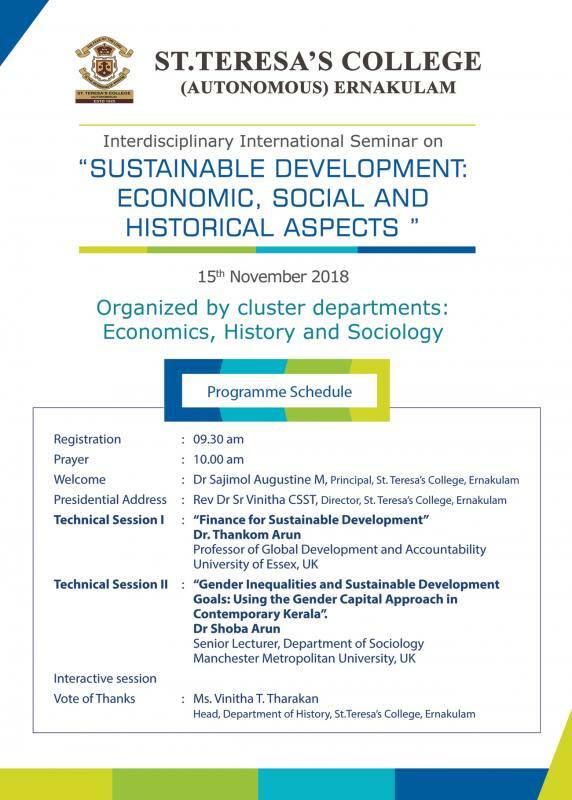 International workshop on Trauma Management,organized by the Department of Sociology in collaboration with Therapia Consultancy and TITHE, United Kingdom. Keralites across the globe is taking their stake and contributing their best towards the rescue, relief and rehabilitation of the victims of the worst disaster in living memory that has struck us during the monsoon season of 2018. 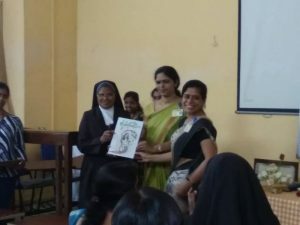 30 participants which included advocates, social workers, psychologists,teachers etc from different parts of Kerala and India participated in the workshop. Smt. 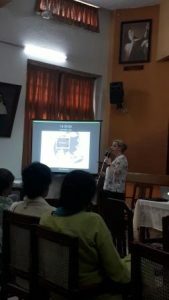 Georgia Ann Benny, Assistant Professor, Department of Sociology did a presentation on the “Psycho- Social Impact of Flood on Women and Children” with the professors of Sophia University , Japan. 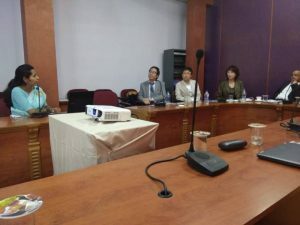 The presentation was done as part of a project proposal of the Department of Sociology to collaborate with the Sophia University, Japan for Gender Sensitive Disaster Management. 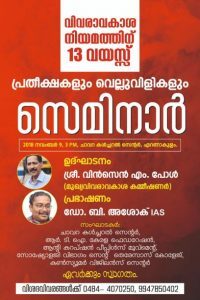 In association with Chavara Cultural Center, RTI Kerala Federation, Anti- Corruption People’s Movement, and Consumer Vigilance Centre. 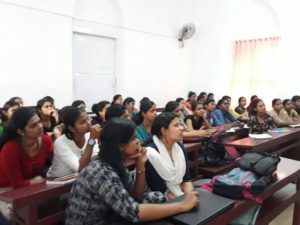 25 students of the Sociology Department, along with two faculty members attended a three day National conference at Department of Sociology, Sree Shankaracharya University of Sanskrit, Kalady. 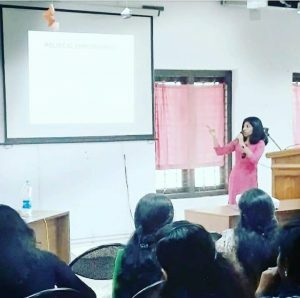 Renji George (III BA Sociology) on “Women’s Participation in Politics with special reference to Kochi Corporation. Smt. Linda Luiz was a Resource person of the Symposium held during the conference. Resource Person – Dr. Shibu Karippai, Chartered Counselling Psychologist & Director, Therapia Consultancy, London. 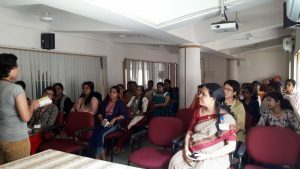 The Department of Sociology in collaboration with TITHE an NGO based in UK and Therapia Counselling Center organized Second Stage Trainer’s Training Programme for professionals, students and people who attended the Stage 1 programme in 2018. 27 participants (7 males and 20 females) joined the programme. 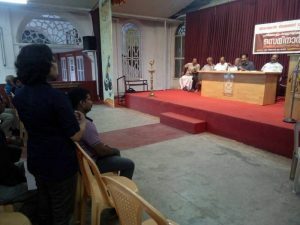 A Speech Competition was held for the students of the Department on the topic “ Article 377- Is it applicable in India? Ms. Belinda Jones and Ms. Remya John judged the competition. 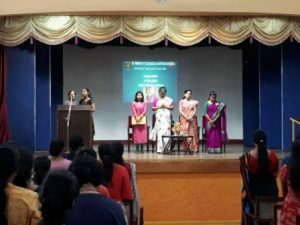 Krishnapriya M. Menon(II BA Sociology) was selected as the Best Speaker. 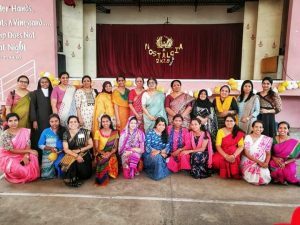 The Alumni Meet(2018-19) of the Department of Sociology was conducted on 09.02.19, at Gym Plaza, Science Block, St. Teresas College. The program started at 11 am. 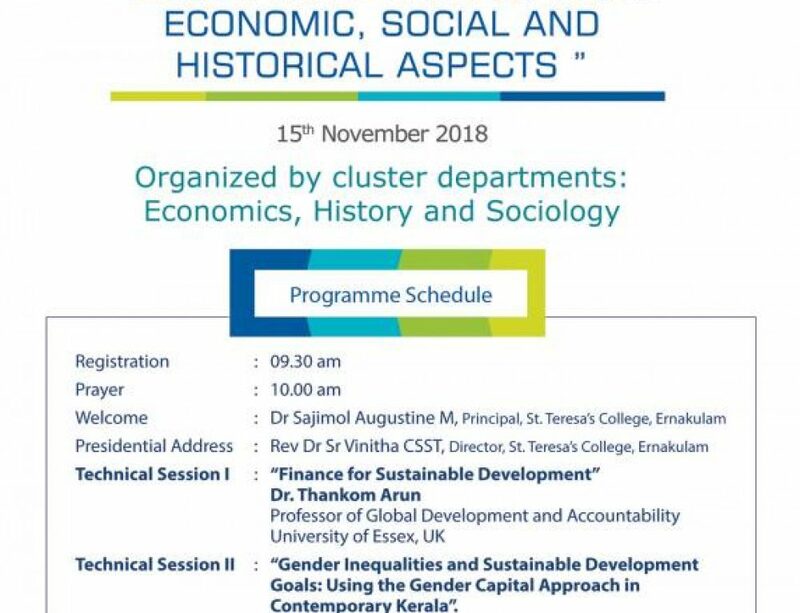 It was a memorable experience with 25 ex- teresians as participants,which included professionals and retired teachers too. 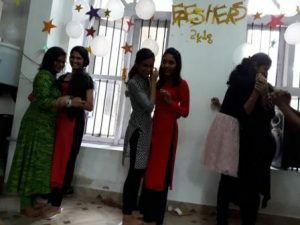 The old students of the department shared their experiences and memories of the college.Various games were organized by the present students to entertain the old students .Cultural Programmes by the UG and PG students of the department added to the program.